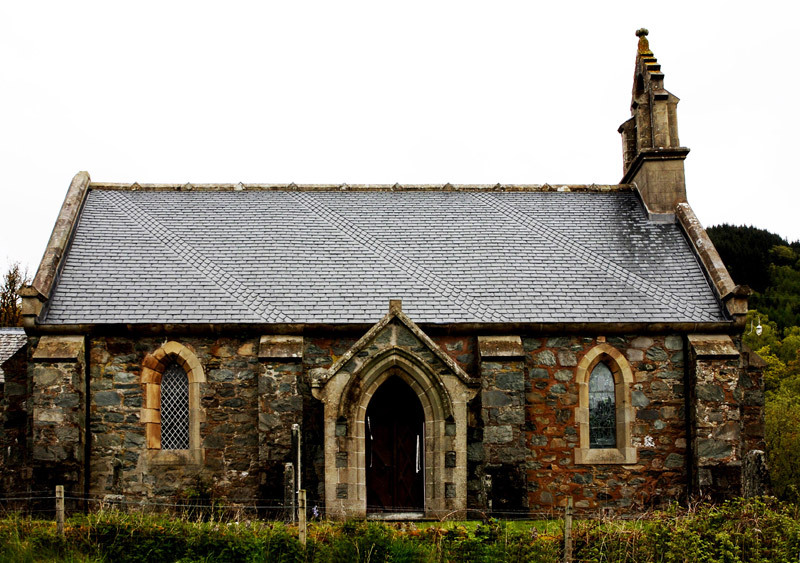 The picturesque and popular wedding venue of the Trossachs Church on the banks of Loch Achray was originally built in 1849 and was slated using the local (now discontinued) Aberfoyle quarry slate. The nearest quarried equivalent is Burlington Best Random Diminishing Slates. We were asked to renew the roof in exactly the same style of the original, which at first was a very challenging task due to the herring bone detail which had to be replicated exactly. After some research, we are to understand that this is the only design in Great Britain of this unique style. Although this was a very challenging task, we felt very honoured to be restoring this unique roof back to its former glory. The roof was started in the middle of January 09 and was completed in the middle of April 09.